To reserve your activities before your vacation begins, please click: concierge services. in .pdf format, please click here. Find out the true meaning of “pampering” at the Nahui Beauty & Day Spa located in the Lobby of Marina Sol. Treat yourself to a delicious breakfast, light lunch or a Steak & Lobster dinner at the Oasis Bar & Grill located poolside. 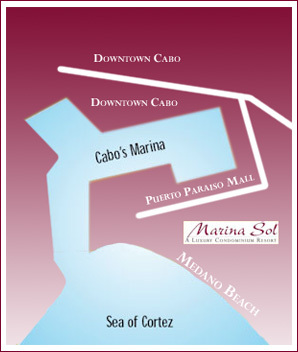 Stock your refrigerator or check your email at the Marina Sol Minimarket and Internet Café.